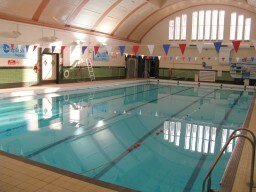 The Aquasol naturist swim group meets most Wednesdays and is open to all ages, pensioners welcome. The swimming pool is closed off to ‘Textiles’ ensuring complete privacy. There is also a non-naturist social group who have regular events such as skittle matches and quiz evenings. Where is the Aquasol Bristol?